Hawai‘i Int. Film Festival — here we come! After 22 years, “Act of War – The Overthrow of the Hawaiian Nation” returns to the Hawai‘i International Film Festival. 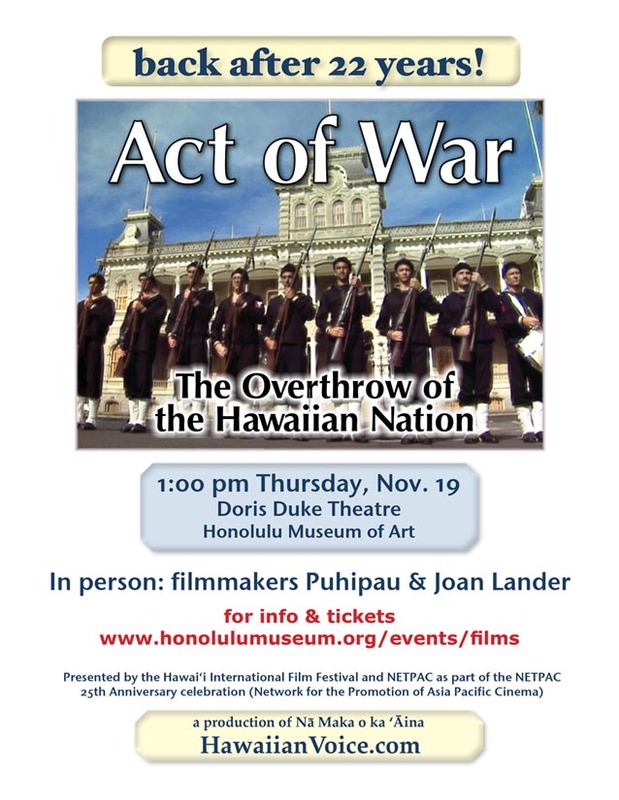 We will be screening the film Thursday, Nov. 19 at 1:00 pm at the Doris Duke Theatre. Contact the Theatre for tickets. Hope to see you there!